Biblical Israel Tours (our original name) was established in the 1992 for the purpose of providing people a rock-solid, in-depth, evangelical and biblical experience of Israel / Holyland travel. In 2016, the ministry expanded and is now called Biblical Israel Ministries & Tours (BIMT).The overall purpose is to teaching of the “physical settings” and “context” of the Bible. The goal is to bring the Bible “alive” in new and exciting ways, thus enhancing and encouraging one’s walk of faith as followers of Christ. Below we’ve done our best to answer frequently asked questions (FAQ) about BIMT. We hope our responses not only brings clarity to your questions, but we also trust that you sense our passion to offer the very best biblically-based ministry to you as we can. We truly believe that our touring and/or teaching ministry is not only unique from other Israel-related ministries, but is also an essential discipleship encounter for the person who desires to grow in his/her faith! If you have any other questions, please don’t hesitate to contact us! We are here to serve you and God’s Church! How long has Dr. DeLancey been leading Israel Tours? “Pastor John” (our Director of BIMT) studied for one-year as an archaeology & historical geography student in the early 1980s. God has placed on his heart to make it his full-time ministry to lead people on life-changing study tours of Israel and other lands of the Bible. 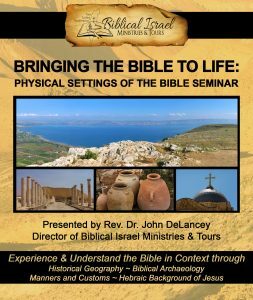 To date, over the last 25+ years Dr. DeLancey has lead 66 Israel tours (many of these included extensions to Jordan and/or Egypt) and 9 Greece & Turkey tours. With so many “touristy” or basic tours out there, it has been our aim to offer more in-depth biblically-oriented tours that include sites not often visited by the average tourist groups that visit many churches and shop a lot. Our aim is to make as many biblical connections as possible for you, bringing the Bible alive in incredible ways! How do I sign up & reserve my spot for one of your Israel trips? (1). The simplest and quickest way would be use the “on-line” registration. 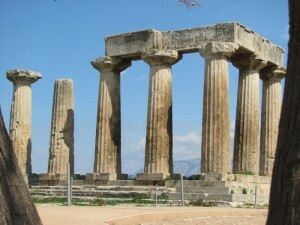 This link will take you directly to the web site of our travel agent who specializes in Israel, imagine Tours & Travel. While they operate totally separate from our 501c3 non-profit ministry, we use them exclusively to handle all the registrations and travel arrangements for each of our tours. They are the very best in the business! Registering on-line through the iTT site is a safe, secure, and quickest way to place your $500 deposit instantly with your credit card and thus reserve your spot on your tour. When this new page opens, type in “DeLancey” in the box provided. Then simply click on the tour that interests you. If you have any questions about the process, you can call iTT directly during normal business hours (863-709-9208). (2). You may download the brochure and registration forms directly from the web page of the specific tour that you are considering. You may then complete the form and send it directly to imagine Tours & Travel along with your $500 deposit that reserves your spot on the tour. (3). You may also request a free “Israel information” brochure packet from us. You may also call Dr. DeLancey directly – 412-999-5697. Registration closes for each tour about 60 days prior to departure (some are 90, depending on the tour and how quickly it fills up). Space is limited on certain trips too! Once you receive a printed brochure and registration form, your can send it in directly to imagine Tours & Travel. Even if you choose to register on-line directly with imagine Tours & Travel, I will still be glad to send you an information packet. 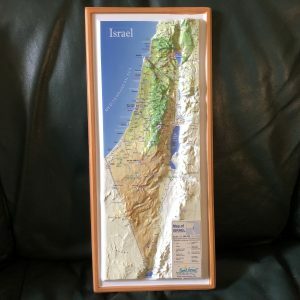 Is it safe to travel to Israel given what I hear on the news about the region? We travel to Israel multiple times a year. Once again and very predictably, there are no safety issues whatsoever. We always continue to have every group return with wonderful experiences. Your safety is our highest priority. Don’t allow the “sensationalized news” and very caring and concerned but “under-informed” friends and family members convince you that you are a “sitting target” in Israel. That’s simply not the case. By the way, according to the Israel Tourism Commission, tourism in 2018 from the U.S. and around the world is at a new tourism record (4.3 million tourists!!) This is a sure sign that more and more people know that travel to Israel is safe. What does an average day look like on tour? On most mornings, we try to board our private bus between 7:30 a.m., depending on the day. Our buses are deluxe motor coaches, complete with free wifi now, making the trip comfortable for traveling to the numerous sites we’ll see together. Most of the day we are on and off the bus at biblical and archaeological sites. Each day includes a lunch stop, usually a quick 45 minute stop. 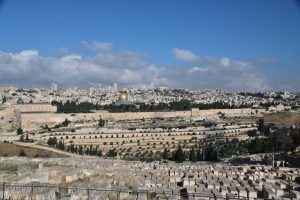 The itineraries of all my Israel tours are unique, for they feature sites that most groups do not see. We end the day in the late afternoon in time for dinner. While most Christian Israel tours only include partial days of sight-seeing and a lot of traditional sites and churches and shopping, our tours are highly biblically-oriented. After dinner, optional gatherings or walks are offered, for those who just can’t get enough! Bottom line, we offer some of the most extensive Israel trips of anyone! With Dr. DeLancey’s experience and expertise, you will learn so very much on any tour! How much walking does each day include? We always tell people that that they can do as much or as little of any site as they wish. At most sites, we enter and leave from the same location. Almost each site has rest-rooms that we use when needed. Dr. DeLancey includes optional (and unique) walks & hikes at a number of sites (e.g. hiking up Mt. Arbel, walking down the Snake Path at Masada, hiking up the far rim of the Zin Desert, exploring the cliffs at Qumran, hiking down Mt. Hermon, Wadi Qelt, etc, depending on the tour…). Each trip is operated like a Ray Vander Laan study-discipleship tour (“That the World May Know“) with many walking and hiking options that Dr. John leads himself. Optional night walks, particularly in Jerusalem, are offered after dinner. These include walks to the Western Wall, Ben Yehuda, and the Promenade, to name a few destinations. When I am in Israel, can people follow our tour? Yes! While on tour, Dr. DeLancey takes the time each night to update the web site with both text and photos. This allows your friends and loved ones to follow our daily experiences on-line. It’s also an opportunity for your loved ones to pray for us and rejoice with us in our experiences. It’s also a great way to review the entire tour when you get home! No one else does this! Am I responsible for getting a visa? No! For entrance into Israel, US citizens do not need travel visas for citizens traveling from the States. If you choose an Israel tour that includes another country (Jordan, Egypt, Turkey), a group visa is included in the price and secured beforehand. This results in easier transfers and passage between Israel, Jordan, and Egypt. However, those joining the tour from other world countries will need to secure your own travel visas if Israel requires it. How are your Israel tours priced and what is included? Pricing for group travel is actually quite competitive, providing the best way to see the lands of the Bible. All tours offer early bird discounts ($50-150). Deposits ($500 for each tour) can be made with a credit card, making it an easy process. All our tours include in the price the US departure taxes and fuel surcharges (presently around $550-700), as well as trips (that Dr. DeLancey handles on your behalf for the entire group, $150 range, depending on the tour). Pricing also includes hotels and two daily meals, as well as all hotel taxes and service charges. For those wanting to join the tour from other countries, “land only” prices are listed for each tour. Please know that when you are comparing tour companies and packages by price, all of our tours are the most in-depth and biblical offered vs. simply more “traditional” tours that go to many traditional sites and/or churches. What is not include on your Israel Tours? Not included are lunches (45 minute stops averaging $10-12 range, with one more expensive lunch in the Galilee), soft drinks at meals, and items of personal nature. Because the tour pricing is based on double-occupancy, a single supplement charge is assessed for those wanting to room alone. If you are traveling alone, we will do our best to match you with an appropriate roommate. Price for the single supplement varies, depending on the number of nights. To save a little on lunches, some folks bring granola bars and snacks to eat for lunch. This is a way to save a few bucks! We eat a LOT for breakfast and dinner. Also not included are the domestic connecting flight to and from our departing city. Due to recent changes within the insurance industry, we have been notified of significant changes to the group travel policy that we have been offering to travelers. You can still purchase travel insurance on your own. There is a link on the imagine Tours & Travel website to Travel Guard’s website so that you can conveniently compare individual plans and sign up for the one that best suits your needs. Should you wish to contact Travel Guard by phone, their toll-free number is 1-800-826-1300. What kind of hotels do you use? We use deluxe / first Class hotels (with twin bedded rooms with private bath). Most hotels are located in great areas, allowing you to explore on your own. Each hotel offers two great meals daily. Hotels also have free wifi. We generally use the following hotels (or similar): Leonardo in Netanya, Leonardo Arts in Tel Aviv, Nof Ginnosar in Tiberias, Daniel in Ein Bokek, Leonardo in Beersheba, Hanokdim in the Judean Desert), and Dan Botique in Jerusalem. What kind of food do hotels offer? Full buffet breakfasts and dinners are served daily. Breakfasts offer a wide range of dairy products, vegetables, breads, coffee, and tea. Dinners offer a variety of meat options, salads, soups, and desserts. For those who eat gluten-free foods only, there are plenty of safe choices for you as well. Overall, there is plenty of wonderful and amazing food to eat for everyone! You will not grow hungry! What resources can I get to help me prepare for the tour? For each passenger (or couple), a complementary copy of my book, Devotional Treasures from the Holy Land, is mailed to you about 60 days prior to departure. The book includes an archaeological, historical, and geographic background of all the sites, blended into a devotional application. Other resources are available on the RESOURCE page on this web site. This includes what we call Site Summaries (one page summaries of biblical sites). Other PDF files are also available. Feel free to download and print! Who are the guides you use? Are your Israel Tours biblically based? What is the size of most groups? The average group size for most of Dr. DeLancey’s tours is around 25-50. This means the group would travel together on one bus. Occasionally on more popular tours, the group size can be potentially 50-95. For tours that are larger than 50 people, a second bus is used. When a second bus is required, both buses travel in tandem. This allows Dr. DeLancey to teach at most sites for both buses. Traveling with two buses works quite well since “head-set systems” are used during the trip. This allows everyone to “listen in” to the teaching without needing to crowd around. Don’t worry… our tours will not be like a Dr. Jeremiah or Chuck Swindoll Israel “mega tours” of 400-500 people, where you don’t see much at all! If we wanted to travel as our own church group, can you help set this up? Yes, private tours for your own church group are possible to arrange. We would be happy to help you organize a private Israel tour for your church or Bible study group. All you would need to do is to choose a date and itinerary. Depending on the size of your private group, this would include bringing your pastor along complementary (it’s a great way to minister to your pastor!). Please contact Dr. DeLancey about the possibilities. He is happy to help you plan a trip for your church! 10. You will gain an understanding of modern Israel. Many do understand the politics of the region because they don’t understand both the culture and layout of the land. The country is about the size of New Jersey (e.g. 300 miles long). Israel became a modern State in May 14, 1948. Jerusalem is its capital city! 9. You will be exposed to different languages. You may even learn a few short phrases in both Hebrew and Arabic. Here are a few important and usable phrases: “Toda” (Hebrew for “thank you), “Shucran” (Arabic for “thank you”), “Shalom” (Hebrew for “hello, goodbye”), “A-fo she-ru-tim” (Hebrew for “Where is the bathroom.”). 8. You will be able to eat a falafel. A falafel is the Israeli form of the American hamburger, however, it is vegetarian. Made with chick-peas fried in balls, stuffed in pita bread along with salads, humus, and/or tahini, it makes for the perfect lunch. You just may have the opportunity to eat a few over the course of a tour. 7. You will gain new friends. By the end of our first full day, our traveling group will become your traveling family. Without fail, each tour participant will enjoy the fellowship of one another. By the end of the tour, one of the hardest parts of returning home will be to say goodbye. 6. You will discover and understand the different regions of biblical Israel. Most peoples’ perception of Israel is that it’s one vast desert. While a few regions (e.g. the Negev, the Judean Wilderness) are rocky and barren, this small country about the size of New Jersey has various regions unique from others. You will notice the topography changes from south to north and everything in between. 5. You will learn about biblical archaeology. A “tel” is an ancient mound that results from the accumulation of levels of civilization one on top of the other over the centuries and even millennia of time. Some “tels” have upward to 2 dozen levels of ruins (e.g. Megiddo). Other sites being still being excavated (e.g. Gezer). Biblical archaeology is the science that will connect you to the ancient past. Through archaeology, you will see and understand how people lived. 4. You will have a new-found appreciation for biblical history. For those growing up in the States, we think that something that is 200+ years old is old. Not so in Israel. Everywhere you see, you are touching history. The history of the Bible comes alive in ways that are indescribable. All the stories from the OT as well as from the life and ministry of Christ in the Gospels can now be read in their very context. 3. You will be able to “connect the dots” of the Bible, causing the Bible to “come alive.” A major role for Dr. DeLancey is to help you “connect the dots.” This includes things like helping people realize the distances between cities and towns mentioned in the Bible. This also includes connecting the culture of the Bible with the biblical narrative. You will be able to begin to connect the dots of the Bible using historical geography and archaeology. Learning the context of the Bible will allow the Bible to come alive with “3-D color.” Most importantly, you will begin “connecting the dots” between the life and ministry of Jesus an the Gospels. Literally, you will see, experience, and even walk in the same places Jesus did! Dr. DeLancey teaches the Hebraic roots of Jesus as well. How thrilling and eye-opening! 2. Your heart will be blessed in indescribable ways, inspiring your walk of faith.Traveling to Israel just isn’t about learning about the Bible. Your heart will be touched too. As we read the stories of faith about David, Gideon, Samson, Samuel, and Hezekiah from the OT, or about the life and ministry of Christ and all of those he touched, God will speak to your heart. Or to put it this way, a trip to Israel isn’t just about information, but rather formation. God will pull at your heart so that your walk of faith is inspired. 1. Your life will be change forever! The primary purpose of why God calls you and provides for you to experience Israel firsthand is that He wants you to walk closer to Him! This is why a trip to Israel is indeed a “journey of a lifetime.” In the words of the late Billy Graham, “Traveling to Israel is much more than site-seeing … it is an experience.” It is a life-transforming experience! Hands down, traveling to Israel is the greatest discipleship encounters a follower of Christ can ever experience. Traveling to Israel will not only anchor your faith deeper in Christ, but will also propel your walk of faith to greater heights! A trip to Israel is one of the the very best spiritual investments you can ever give to yourself! We literally have oodles of people who join us who say, “Oh, I wish I would have done a trip like this years ago so I could reap the benefits when I was younger…!” Truly, an Israel trip is an investment that yields benefits the rest of your life! Don’t wait! Some of our tours cross the border into Jordan. The highlight here is Petra! It is deemed as one of the seven wonders of the world. Petra was an ancient Nabatean city, with over 1000 tombs carved into the red sandstone. The walk through the Siq (canyon) into the site spectacularly leads to the Treasury (made famous by the last Indiana Jones movie). It is the most famous monuments/tomb of the entire city. Other tombs include the Monastery tomb and the Royal / Urn tombs. Hiking through Petra is an amazing experience. The incredible beauty of God’s creation radiates His glory!